Listen: it makes you smarter. It’s a simple statement, but one that is all too often overlooked. Nobody ever learned anything from listening to themselves speak. The only way we can grow is by learning new things from other people. That’s why I spend so much time travelling around the world to speak with and listen to all sorts of groups and individuals. I try to keep my schedule as varied as possible. One day I will be listening to experts on climate change, the next on banking. One moment I will be learning about human rights, the next about ballooning. The same is true when I am at home on Necker. I love inviting all sorts of different groups to stay on the island, where we discuss everything from Bitcoin to conflict resolution, solar panels to animal conservation. It’s also why I love sharing my own thoughts in this blog, and getting instant feedback on social media. It’s easy to think of listening as a passive activity – something that happens naturally simply by being in the room or in front of a screen while somebody is talking. But it takes effort and focus. I find switching off all my devices, finding a comfortable spot and grabbing my notebook and a cup of tea usually does the trick. 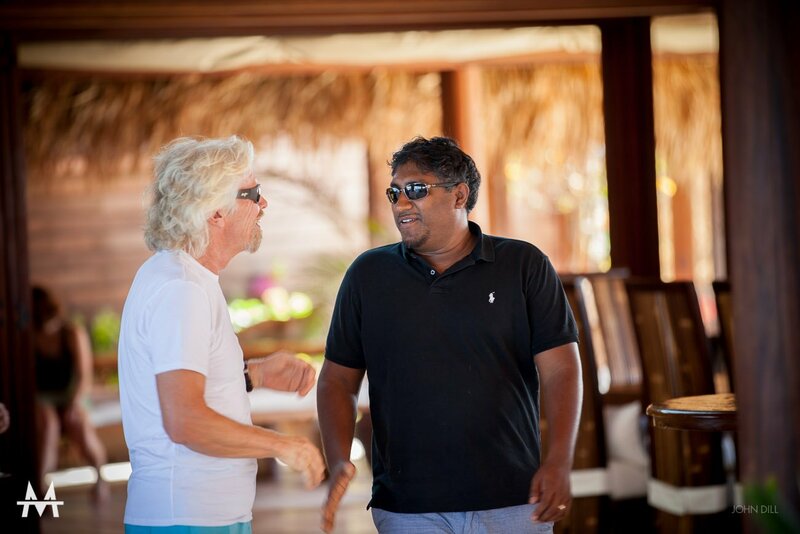 As David Hockney said: "Listening is a positive act: you have to put yourself out to do it." We were fortunate to have David Hockney feature in the very first issue of Student Magazine. Four decades later, he is still innovating and creating breathtaking art. I’m sure his ability to listen is one of the main reasons for this. 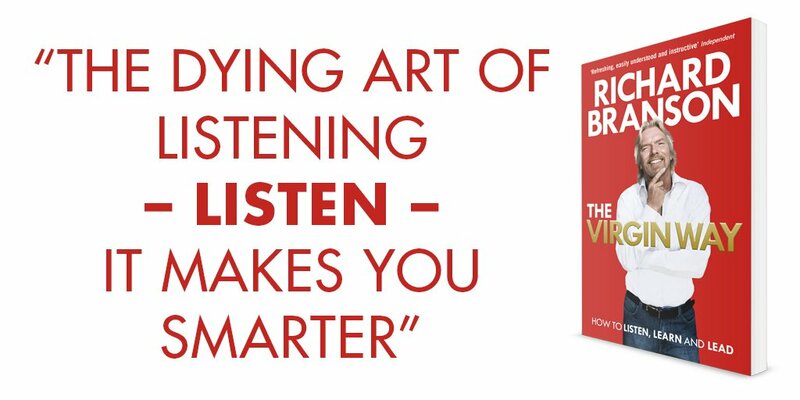 How to listen effectively is one of the main topics I discuss in The Virgin Way, my book on leadership that is now available in paperback. It really is a crucial element for success, and an attribute every leader has to master. Do you have a favoured technique for listening effectively? I’d love to hear it, do share it below or on my social channels.